DO I REALLY NEED A BANKRUPTCY LAWYER OR OTHER LEGAL HELP? Filing for bankruptcy is a very complicated process. The law varies depending on where a bankruptcy is filed and also depends on which type of bankruptcy is filed. An experienced bankruptcy lawyer knows the particulars of filing for bankruptcy. It’s doubly important to retain an attorney in your own state. Bankruptcy laws and exemptions vary widely from state to state. We can recommend which chapter of bankruptcy is right for you (7 or 13 for individuals), and can ensure that your paperwork is filed correctly so that all eligible debts are discharged. When you file a Chapter 7 Bankruptcy, all of your non-exempt assets are sold and the proceeds divided between your various creditors. It totally relieves you from your debts, except for debts that are non-dischargeable. Your case is filed and your bankruptcy discharged (completed) in approximately ninety days. CAN I FILE A CHAPTER 7 BANKRUPTCY MORE THAN ONCE? You may file a Chapter 7 bankruptcy every eight years. WHAT DEBTS ARE NOT ELIMINATED BY A CHAPTER 7 LAS VEGAS NEVADA BANKRUPTCY? WHAT IS THE "MEANS TEST" I KEEP HEARING ABOUT? The Bankruptcy Reform And Consumer Protection Act of 2005, often referred to as the “new law”, requires that you take the “means test” to determine if you qualify to file a Chapter 7 bankruptcy. If you do not qualify for Chapter 7, you must file a Chapter 13 instead. To qualify for a Chapter 7 bankruptcy, your monthly income must be below the median income for your state. See just below for the median income in Nevada. Your income is determined by averaging all of your NET income over the past six months. Even if you make zero dollars right now, the means test will show you as having some income because of this calculation. You must include ALL income in the calculation EXCEPT for social security income. If it turn out that your NET income is above that shown in the table above, you must file a Chapter 13 bankruptcy instead of a Chapter 7 “Fresh Start” bankruptcy. When you file a Chapter 13, you still pay your debt though it’s now greatly reduced and completely paid off in 36 to 60 months, depending on the amount owed and your personal circumstances. Instead of paying back your creditors individually, you make one payment once a month to the bankruptcy Trustee assigned to your case who in turn pays your creditors. A Chapter 13 is appropriate for you when you either don’t qualify for a Chapter 7 or when you owe a debt to the IRS, or other debt that cannot be eliminated under Chapter 7 bankruptcy. We may advise you to file a Chapter 13 if you have IRS taxes; if you owe back child support or alimony, or any other non-dischargeable debt. Contact Us if you’re unsure whether or not a debt is discheargable. WHAT FORMS MAKE UP THE BANKRUPTCY PETITION? What is the Bankruptcy Petition? This is a basic form that states your name(s), address, phone number, date of birth, social security number, etc. What is the Statement of Financial Affairs? This is basically a history of your financial life for the bankruptcy Trustee. What is the Statement of Intentions? This is where you state your intention in filing your bankruptcy. 1) Reaffirm the debt. This calls for you to promise the creditor of a particular debt (such as your car or house payment), that you will keep making payments during and after your bankruptcy. 2) Surrender the property. You will not have to make any more payments and will not owe anything more. What is the Attorney Statement? This statement is a short form that states the name of the attorney who files your bankruptcy on your behalf, as well as the amount you paid us for the service. WHAT DOES "REAFFIRMING" A DEBT MEAN? A reaffirmation agreement consists of a new contract you sign with a creditor to whom you owe a secured debt, such as a vehicle or house. To reaffirm a debt basically means that you promise to keep paying on a debt you reaffirm after you file bankruptcy. HOW DOES MY PROPERTY GET VALUED BY THE TRUSTEE? Personal property is valued at garage sale value not at replacement value. For example, a couch for which you paid $1,000.00 may only have a value on the bankruptcy schedules of $100. It is the amount that a reasonable person would pay for the property in its current condition-not new. So don’t overvalue your stuff when listing your assets. WHAT ARE NEVADA CHAPTER 7 EXEMPTIONS AND HOW DO THEY WORK? DO I LIST AN OPEN PERSONAL INJURY CLAIM OR A LAWSUIT IN WHICH I MIGHT BE A BENEFICIARY? 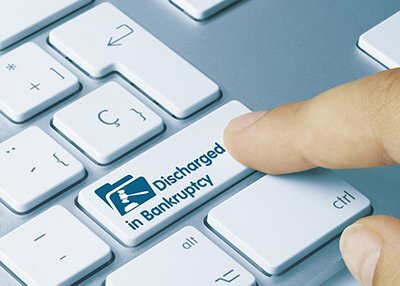 If you got into an accident before you filed for bankruptcy, or you got into an accident during the process of your bankruptcy and you file a personal injury lawsuit, any proceeds coming to you that you have not yet received will be subject to the Bankruptcy Court taking them and distributing it to your creditors. This will occur even if you never filed a lawsuit yourself, such as in a class action lawsuit. CAN I INCLUDE BACK TAXES IN MY BANKRUPTCY? To be included in a bankruptcy, federal or state taxes must be at least three years old. They also must have been filed with the IRS at least two years before you filed for bankruptcy protection. These same taxes must not have become an IRS lien. The rules here are complicated. It’s best you Contact Us and ask about your particular situation. WHAT ASSETS ARE USUALLY NOT PROTECTED? WHAT HAPPENS IF I DON'T LIST ALL MY ASSETS? WHAT IS SCHEDULE A? Schedule A consists of the list of real property that you own such as a house, condominium, townhome, any raw land, and/or mobile home. collections – baseball card collections, doll, stamps, art, etc. WHAT IS SCHEDULE I? Schedule I is your current income from any sources including, wages, social security, pension, disability, roommate contribution, family support, alimony, child support, etc. In this section, you also give marital status information, list of dependents, and specific employment information. If you’re really not sure how much you spend on those items that are not fixed, write down everything you spend for a period of about two weeks and use that as a general guideline It would probably not be best to display very high amounts here. Be as accurate as possible, but be careful. Many people overdo this one because they’re ashamed that they have so little to spend on items like food for instance so they enter larger amounts only to be questioned about it later by the Bankruptcy Trustee. Fill it out with the thought in mind that you may have to provide some sort of proof on those expenses. You might want to collect receipts for all of these items for a while just to be on the safe side and to have it handy should the Trustee ask for them. WHAT IS SCHEDULE D? This schedule consists of the creditors who hold loans on the tangible property you own such as your home(s), car(s) and any other vehicle(s). It is very important for you to keep paying on these debts if you plan to keep what’s attached to the loan(s), such as your car and home mortgage. Keep proof you made the payments just to be on the safe side, in case the lien holders (creditors) try to say you did not pay them. 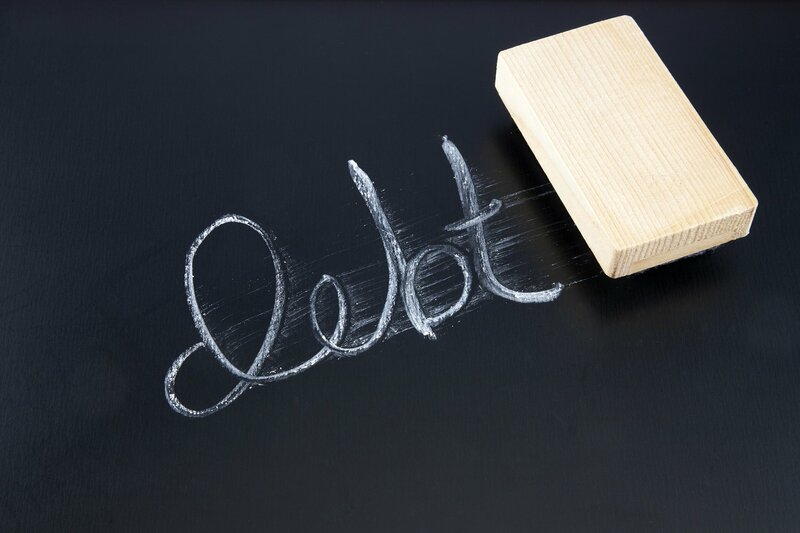 In order to be discharged in bankruptcy, a debt MUST be listed as part of your bankruptcy. If you fail to list a debt, that particular creditor has a right to keep pursuing you after the bankruptcy. Keep in mind that if a debt has been turned over to a collection agency and you only list the creditor who sent you to collections, that collection agency has a right to pursue you for the debt, even if the original creditor does not have that same right. WHAT IS SCHEDULE G? This schedule lists all parties who may have co-signed on loans with you. Though your own obligation will be discharged in bankruptcy, you can expect the creditor to collect from your co-signer. WHAT IS SCHEDULE H? This schedule covers any leases still in effect, such as a car lease, apartment, rent-to-own furniture, etc. WHAT DOES THE MANDATORY CREDIT COUNSELING CONSISTS OF? Only credit counseling agencies that the Office of the United States Trustee recognize are acceptable. We recommend a licensed and recognized credit counseling agency when you file using our services. WHAT DOES THE MANDATORY FINANCIAL MANAGEMENT COURSE CONSIST OF? This is a mandatory course you must take after your bankruptcy has been filed and before your debts are discharged. It’s also known as the 50-30-20 MoneyPlan. WHAT HAPPENS AFTER THE BANKRUPTCY IS FILED? The first thing that happens is that the Trustee sets the Automatic Stay in motion. Any creditor who, after the Automatic Stay is put into effect, files a lawsuit, continues an existing one, sends you letters requesting money, or calls you on the telephone is breaking federal bankruptcy laws. Any creditor who violates this rule could well be sanctioned by the bankruptcy Court. That said, a creditor who has a secured debt with you (house, car, etc.) does have the right to file a motion with the Court asking permission to continue to pursue collection actions until you have reaffirmed your debt with them. This usually happens if you are delinquent on your payments with them. The Court will assume that if you are not paying for it, you should give it back to the creditor. This rule does not apply to items purchased with a credit card. You can keep any items purchased with a credit card, unless, of course, you deliberately purchased it just before filing bankruptcy. In this case, you’ll most likely be expected for pay for the debt and will not have ot give back the item itself. WHAT IS THE 341 MEETING OF CREDITORS - WHAT HAPPENS THERE? The Trustee asks you to provide 2 pieces of identification. This can be: driver’s license OR Nevada picture identification card, social security identification (social security card, W-2 statement, or paycheck stub. The Trustee asks you any number of questions pertaining to your property and, or, your bankruptcy filing. You are dismissed from the hearing. Generally, you receive a Notice of Discharge about sixty days after the creditors’ meeting. This notice is sent directly to you, not us. It comes from the United States Bankruptcy Court. The discharge means that no creditors which you listed on your Bankruptcy Petition can pursue you for the debts. The debts will NOT be listed on the Discharge. There are four primary types of bankruptcy fraud. 1) If you took out a loan and lied about your true income (e.g. you stated that you earn, say $100,000 per year, but really only earn $60,000) on the loan application and then listed this loan on your bankruptcy application, the creditor has the option to claim that because they relied on your lie, you should be responsible for the whole debt and not allowed to discharge this debt. 2) Cash advances of more than $750.00 within 70 days of filing unless you can prove that you had no intention to commit fraud by doing so. 3) Buying goods worth more than $500 within 90 days of filing your bankruptcy. This is a grey area because if a creditor can show that you meant to commit fraud even if you filed after the 90 day period, it could still be considered fraud. The best thing to do is to NOT buy anything of a higher value once you know you will be filing and wait as long as possible after a large purchase of a luxury good to file. 4) Money owed because of embezzlement are considered fraud. If you took the money an home association trusted you with, for instance, to buy yourself a boat or a car, or anything at all, expect to have to repay this one. WHAT HAPPENS TO MY BANKRUPTCY CASE IF I COMMIT FRAUD AND/OR "FORGET" TO LIST AN IMPORTANT ASSET? In this case, your creditors have every right to ask the court to not allow for your discharge and seek a dismissal of your bankruptcy so that they can pursue you for repayment. If the court agrees with the findings of your creditors (or its own findings of your fraud of omission of assets), the bankruptcy court will issue an Order dismissing your bankruptcy. This basically puts you right back to where you were before filing. Don’t hide assets, and don’t transfer assets to family members for at least one year before filing, and all will be fine. Also don’t pay back “loans” to family members within one year of your bankruptcy. I FILED BANKRUPTCY BEFORE. CAN I FILE AGAIN? Yes. But you can only do so if eight years have passed since your last bankruptcy was discharged. If you don’t wait this period of time, your case will be automatically dismissed, no questions asked. WHAT ARE THE MOST COMMON REASONS FOR DISMISSAL? Not showing up for the 341 Meeting. You stand a high risk of having the bankruptcy dismissed in this case. You may get one chance for re-scheduling, but that’s it. Don’t show up a second time? Automatic dismissal. So, make this meeting your highest priority! Refusing to turn over an asset not protected by exemption to the bankruptcy court. Be sure to list ALL assets and give them over the court when asked. Otherwise, expect your bankruptcy to be dismissed. Failure to produce documentation of any kind to the bankruptcy court. Any such requests must be honored immediately or risk dismissal. They’re tough at bankruptcy court. Do what they say, or else expect dismissal. CAN I BE DISCRIMINATED AGAINST BY MY EMPLOYER IF I FILE BANKRUPTCY? Under federal bankruptcy law, government and private employers are prohibited from discriminating against debtors. In the case of a government agency employer, the following discrimination is prohibited: terminating an employee discriminating with respect to hiring denying, revoking, suspending, or declining to renew a license, franchise, or similar privilege. In the case of a private employer, the following discrimination may not take place: cannot discriminate against an employee solely upon the bankruptcy filing. WILL FILING A BANKRUPTCY HURT MY ABILITY TO EVER HAVE CREDIT IN THE FUTURE? Bankruptcy can stay on your record for up to 10 years. Ironically filing bankruptcy is less harmful to your credit than being foreclosed upon or having a car repossessed. Your credit will be more difficult after bankruptcy but you will have no debt load. Creditors know that you cannot file again for 8 years so they are willing to lend to you at a little higher interest rate. If your unsecured debt total is more than your yearly income then you should consider filing. If not, then use a non-profit credit counseling service like Consumer Credit Counseling. FREE credit reports for clients declaring bankruptcy in Nevada using our services! No confusing stacks of court forms for you to fill out. We do it for you! Full phone and email support during your bankruptcy. We still take your call after you pay us! * Total attorney fees for a Chapter 7 are $999. The Bankruptcy Court Filing fee for a Chapter 7 (currently $335) is separate from the Nevada bankruptcy attorney fee. There is also a $50 fee for copies required by Bankruptcy Court. Total Nevada bankruptcy attorney cost for a Chapter 13 bankruptcy is $3999; 1,999 paid up front, balance paid in repayment plan. The bankruptcy attorney fee does not include the Bankruptcy Court Filing Fee for a Chapter 13 (currently $335) and $75 copy fee.